How much is Andy Ackerman Worth? Andy Ackerman net worth: Andy Ackerman is an American director and producer who has a net worth of $80 million. 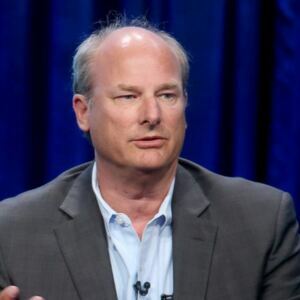 Andy Ackerman has earned his net worth from his work on such well-known television shows as Seinfeld, The Adventures of Old Christine and Curb Your Enthusiasm. He was born in Los Angeles, California in 1957. Andy graduated from Santa Clara University in 1978. Some of first career opportunities included being a videotape editor on WKRP in Cincinnati and working the Newhart show from 1979-1982. Ackerman won an Emmy Award for his work on Newhart. He was also an assistant editor on Welcome Back Kotter. Andy started directing Seinfeld in the show's sixth season. He went on to direct a total of 89 episodes. On The New Adventures of Old Christine Andy directed nearly every episode He has also directed or in some cases was a guest director on such popular TV shows as Everybody Loves Raymond, Becker, Cheers, Wings, Frasier, Two and a Half Men, Andy Richter Controls the Universe and The Ellen Show. In 2006 he directed the pilot episode for the Fox Networks new series Happy Hour. For NBC he was the director of the comedy Perfect Couples, some of his producing credits include Cheers and The Ellen Show. He has won a Golden globe Award, a two-time winner of the Director's Guild of America, the youngest person with 24 Emmy Awards for technical achievement and three time winner of a Primetime Emmy.